We are the construction experts. Everyone at Top Plumbers and Builders is committed to making your dream house an affordable reality. We ensure we keep our promise by offering reliable service, designed to guide you through the process from initial idea to final fit; we assist, we work hard, we deliver, we install and above all we care. We are there for your every step of the way to make sure your construction project is as hassle-free as possible - from inspiration to installation. 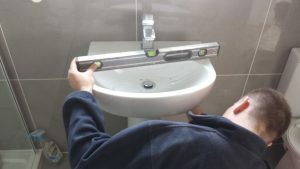 TOP PLUMBERS AND BUILDERS HAS BEEN OFFERING QUALITY PLUMBING SERVICES SINCE 2007. AS A SERVICE ORIENTATED PLUMBING COMPANY WE CONTINUALLY STRIVE TO DELIVER TOP SERVICES AT A REASONABLE PRICE. WE ARE ABLE TO PROVIDE A QUICK TURNAROUND ONCE THE INSPECTION HAS BEEN COMPLETED.